A young man is an avid listener to the city's police frequency, and he leaves the scanner on all the time. 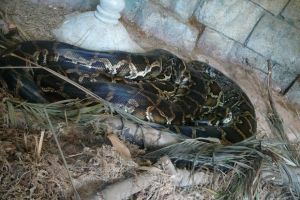 "Car 34, there is a five-foot boa constrictor in someone's front yard. The resident wants a police officer to come and remove it." There was a long pause, then some static. Slowly, a voice said, "We can't get the car started."